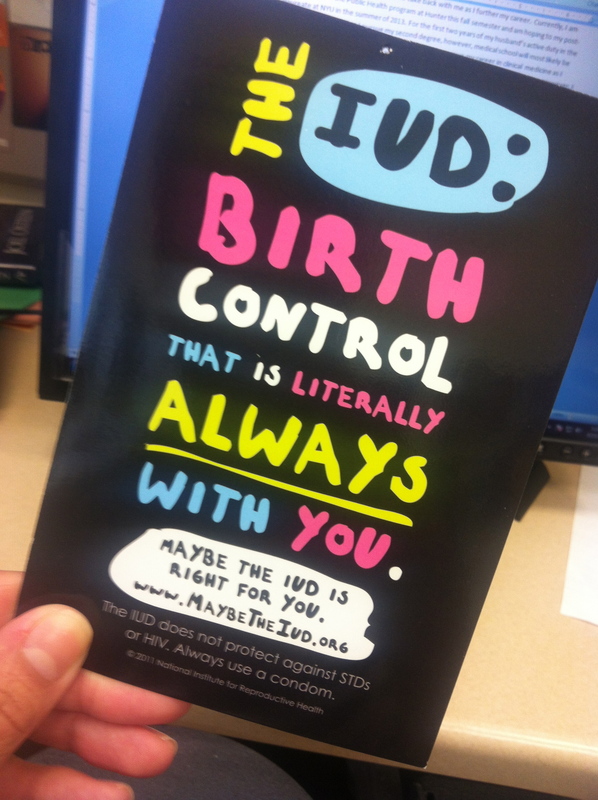 The “Maybe The IUD” campaign was a recently launched promotion by Pro-Choice NY and the TORCH program to increase the knowledge and education surrounding the IUD methods of birth control. The TORCH program also launched an “IUD Teen Night” on April 19th, where teens from all over NYC were invited to attend a small gathering to learn more about this method of birth control. The purpose of this event was to debunk certain myths surrounding this method of contraception, that most of the time is often obtained by teens through misguided information from non-credible sources. Usually, these sources includes bogus websites offering ill-research information and misinterpreted consumer opinions that skew teens away from using this very effective method of birth control. It is entirely wrong for organizations to promote such information for teens, especially when the above myths have proven to be exactly that – MYTHS! IUD Teen Night was a way for teens to get accurate information from people that share their same beliefs, ideas, and morals – other teens! As one TORCH teen put it, in a T-Spot blog post saying, “…we got the purpose across which was to inform teens about the IUD and the myths that come from the media which limits TEENS to access this type of birth control”. To read more about this initiative please visit the Maybe The IUD website.